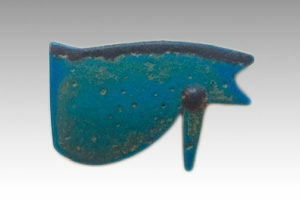 An amazing culture with a wide range of objects in gold, bronze, stone, faience and clay, from c. 3000 BC till much later when the Romans took over in the 1st century BC. 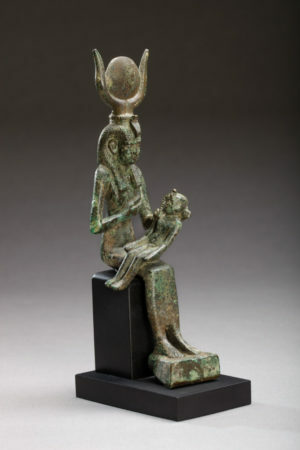 A period wherein the most famous Romans as Julius Caesar, Marc Anthony and the Egyptian queen Cleopatra were living a rather comfortable life shown by their legacy of beautiful and very interesting objects. 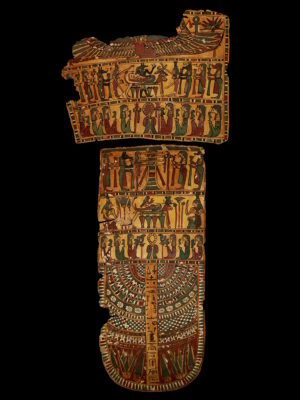 And there was a lot more, when you would wish to collect Egyptian antiquities. 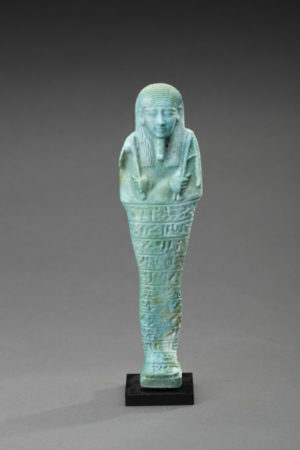 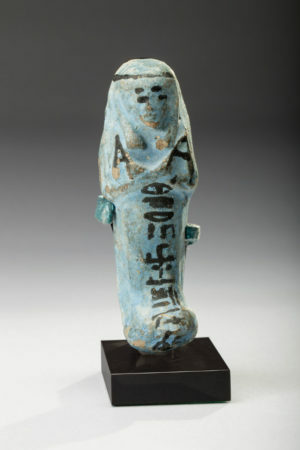 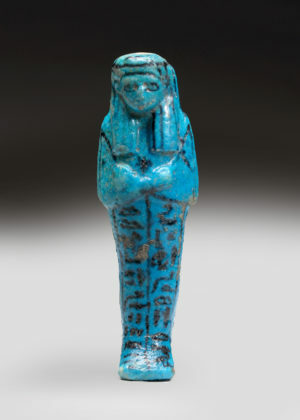 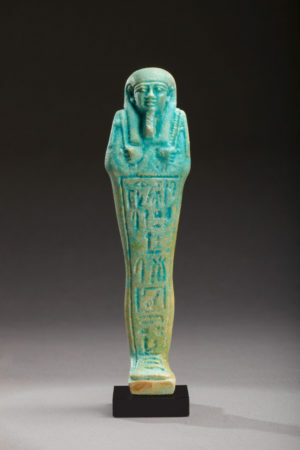 Very much in favour are the blue or green faience ushabtis, funerary figures with their names painted, stamped or incised in hieroglyphs. 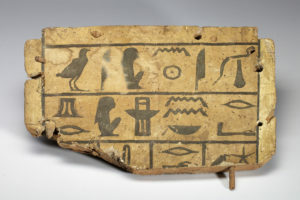 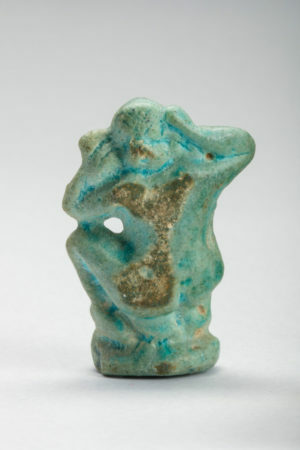 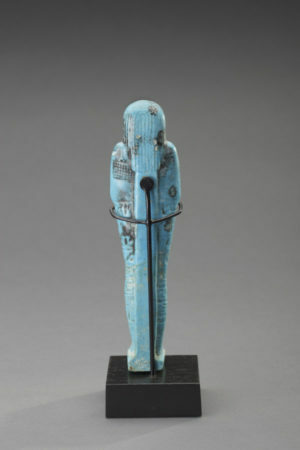 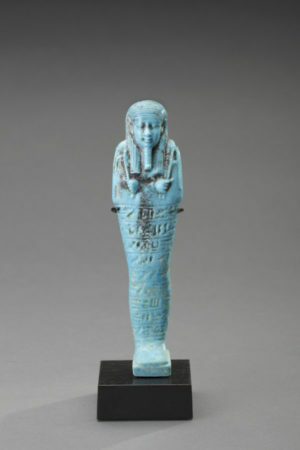 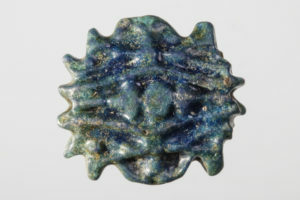 Other faience objects were amulets of gods, and the scarabs, symbols of eternity. 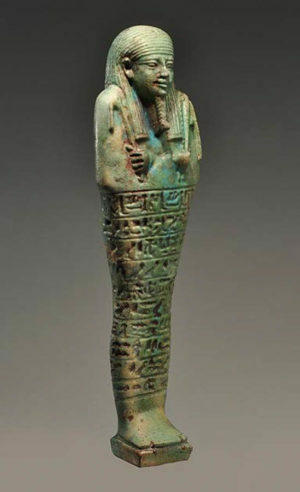 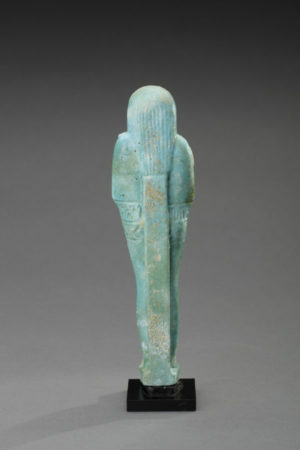 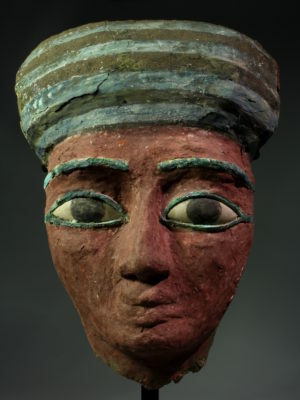 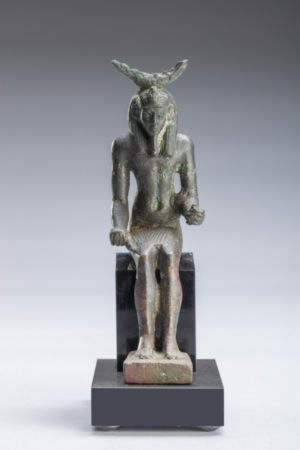 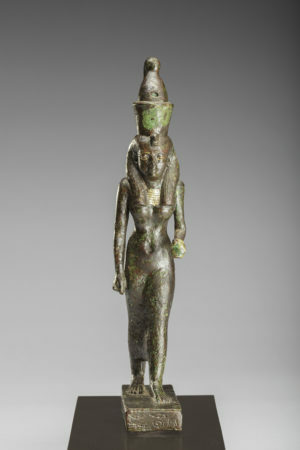 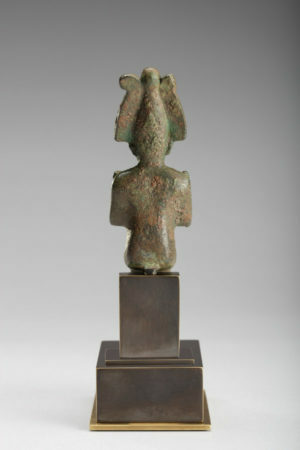 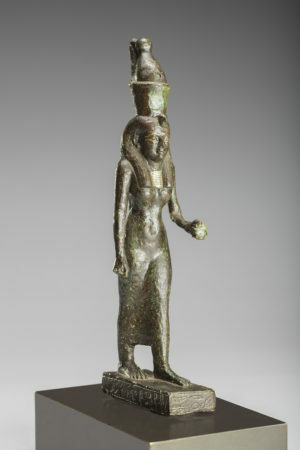 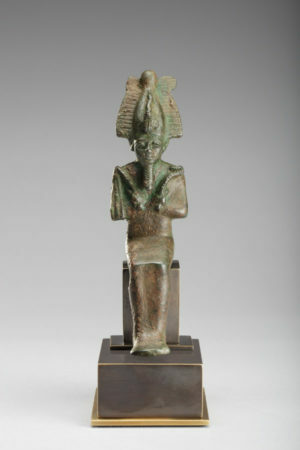 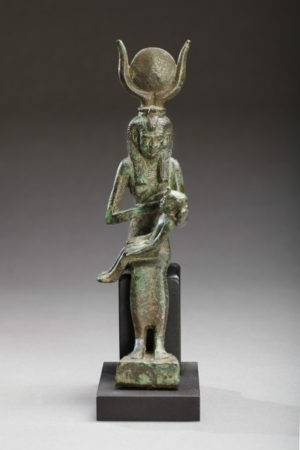 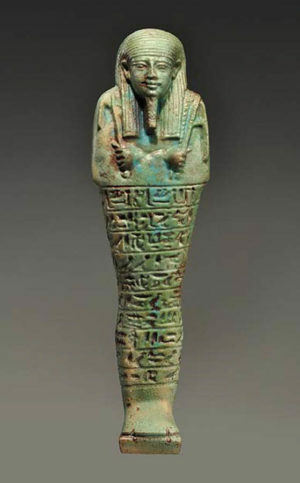 Also bronzes were well attested in Egypt, especially since the Late Period, 7th-4th cent. 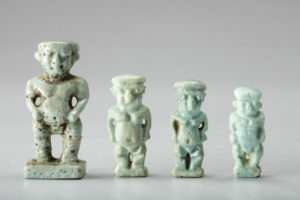 BC., mainly votive figures of the many gods, cast by the ‘lost wax’ process. 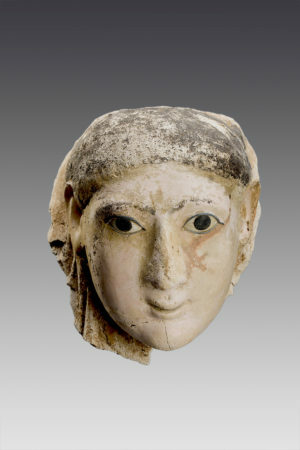 Although wood was scarce in the beginning, sarcophagi and small sculpture became popular from the Middle Kingdom onwards. 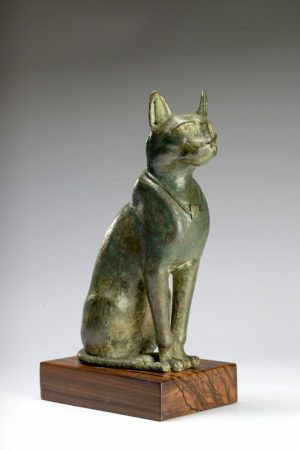 Many animal figures in wood has come up from the Ptolemaic Period, 3rd-1st cent. 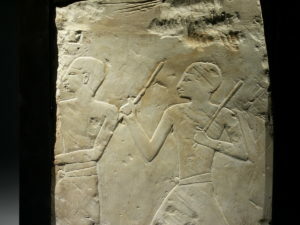 BC, when the Greeks were ruling in Egypt, and also coins were introduced. 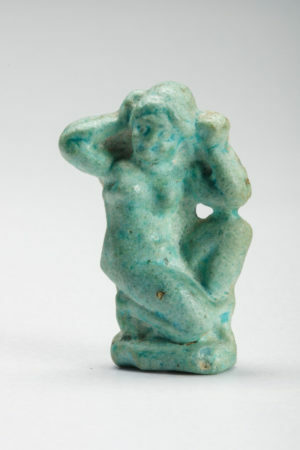 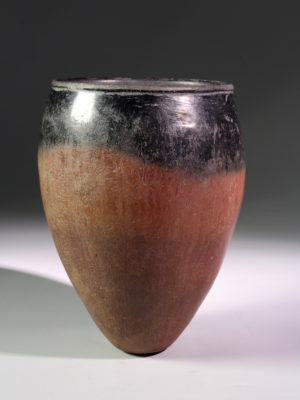 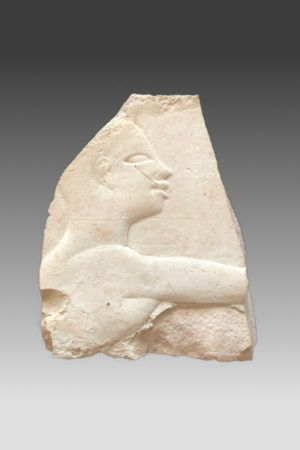 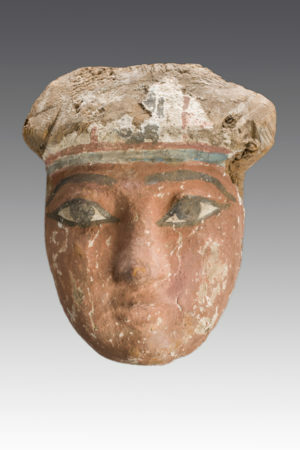 After some time, the Egyptian art has gone under the influence of the Romans and the available material became rather limited, as for instance the Alexandrinian terracottas are more Roman than Egyptian at that time.